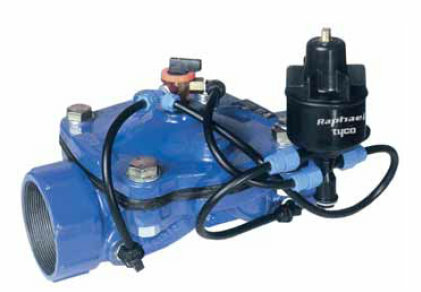 RAF a new concept of diaphragm hydraulic control valveconsisiting of three basic parts: body, cover and diaphragm. The "no-spring" diaphragm valve ensures even distribution of pressure on the sealing area, prevents diaphragm deformation and provides longer service life. The valve contains minimum number of moving parts and requires practically no maintenance. The patented rib-style diaphragm has several advantages. Valves opening and closing is gradual and eliminates risk of water hammer, vibration and noise. 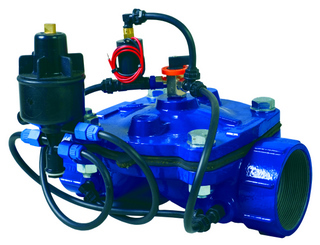 It provides accurate and perfect pressure regulation at low flow-rates. Full valve opening is obtained at a very low pressure. One diaphragm controls the whole pressure range. The RAF/RAF-P 63-31 is a Normally Closed (N.C.) pressure reducing valve.